(Nashville, Tenn – March 16, 2017) SOURCE Nashville has announced this year’s Hall of Fame inductees to be Amy Kurland, Bluebird Café; Bonnie Sugarman, Agency of Performing Arts (APA); Joyce Rice, First American National Bank, BMI; Judith Newby, Top Billing, J.P. Newby Management, Tapped Into; Martha Moore, WLAC Radio, MCA/ABC Records, PolyGram Records; So Much MOORE Media; Susan Turner, Capitol Records, RCA Records, Moress/Nanas/Peay Management Co., Shindler/Turner Promotions and Turner & Associates; and Lula Naff, Posthumous, Ryman Auditorium, Lyceum Bureau. Presented by Springer Mountain Farms, this year marks the 15th anniversary of the SOURCE Hall of Fame Awards. Set for Tuesday, Aug. 22, 2017 at the Musicians Hall of Fame and Museum in the Historic Municipal Auditorium (417 4th Avenue North, Nashville, Tenn.), the annual awards will honor and induct a select group of women into the SOURCE Awards Hall of Fame. Sponsorships and program ads are available. For more information please contact Debi Fleischer-Robin at dfr1111@comcast.net or 615-403-7949. For more information on the 2017 SOURCE Hall of Fame Awards, please visit http://sourcenashville.org/awards/ or contact the women below. Ticket information will be release in the coming weeks. 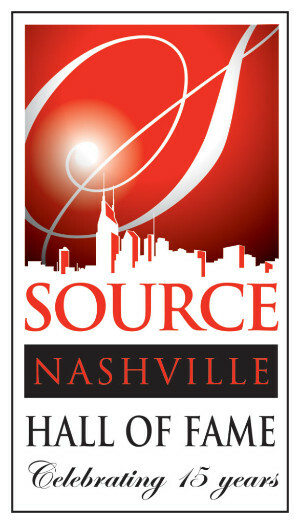 About SOURCE Nashville: Founded in 1991 by Shelia Shipley Biddy, Judy Harris and Pat Rolfe, SOURCE is the longest running organization for females in the music industry in Nashville, and is dedicated to fostering relationships and opportunities for its members through continuous education, networking, and community service initiatives. SOURCE is a nonprofit organization supporting an exclusive community of accomplished women professionals who work in all facets of Nashville’s entertainment industry. For more information, please visit SOURCENashville.org.